The sign that ‘Africa is on Sale’ has been appearing with regular frequency in major newspaper accounts across the world, indicating that large amounts/expanses of Africa’s rich farmlands are being sold to transnational investors, usually on long-term leases, at a rate not seen in decades – indeed not since the colonial period. Transnational and national economic actors from various business sectors (oil and auto, mining and forestry, food and chemical, bioenergy, etc.) are eagerly acquiring, or declaring their intention to acquire large areas of land on which to build, maintain or extend large-scale extractive and agro-industrial enterprises to help secure their own food and energy needs into the future. 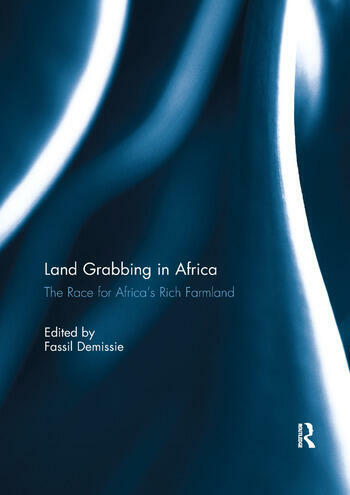 This book provides a critical appraisal of the growing phenomenon of land grabbing in Africa. Far from being a technical issue associated "good governance", the problem of land grabbing by transnational corporation and states is a serious threat for the food security of millions of Africans and is undoubtedly one of the great challenges of our time for development on the continent. The case studies illustrate that African states are also complicit in the massive land grabbing by actively participating in isolated development while excluding the local communities. The case studies reveal key features that characterize how the global land grab plays out in specific localities in Africa. This book was published as a special issue of African Identities.